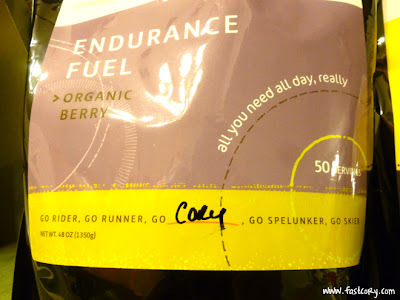 Fast Cory: Tailwind Nutrition Review - Two Thumbs Up! 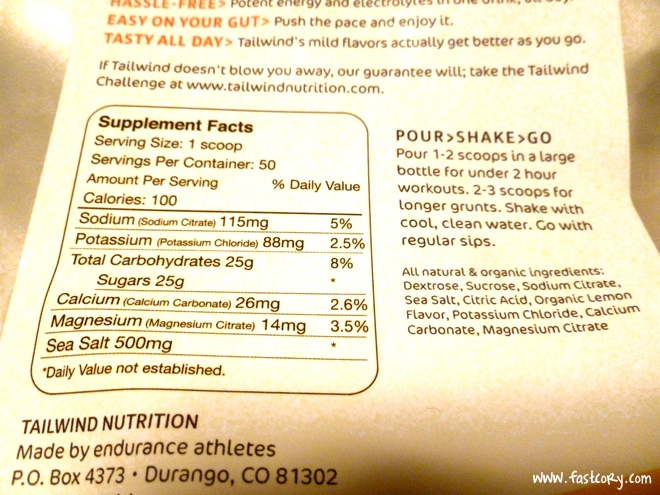 Tailwind Nutrition Review - Two Thumbs Up! 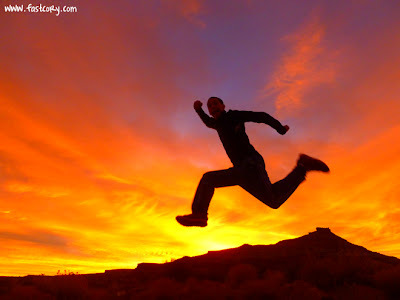 A few months ago I listened to a podcast on Trail Runner Nation with Jeff Vierling who designed Tailwind Nutrition. You can click here to listen to it. After listening to the interview I was intrigued by what I heard about Tailwind. 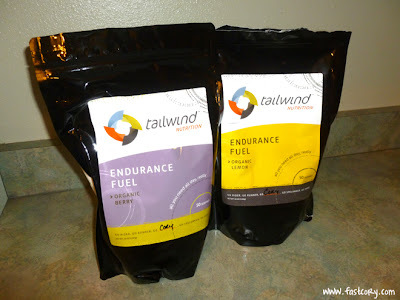 1) Tailwind is a drink mix you add to water to fuel your ultra or endurance event. 2) It contains the needed amount of calories, sugar, sodium, and potassium so you don't need to fuel with gels or bars. 3) Supposedly the taste wasn't overly sweet like most sports drinks. At the most recent Javelina Jundred 100 miler my stomach was demolished and I couldn’t eat another Gu if my life depended on it. I couldn’t get in any calories and eventually ran out of steam resulting in a DNF. I loved the idea of getting all my calories from liquid and not needing to eat any Gu. Tailwind sent me a trial pack including all four flavors: Mandarin Orange, Berry, Lemon, and Naked Unflavored. I really loved each of the flavors. What I liked most is that they are not overpowering and super sweet. The taste is mild with just the slightest taste of salt. I’ve heard their flavor described as “savory”. Finally, it was time for the rubber to meet the road. I used Tailwind as my primary fuel source for an 35 miler, a 20 miler, and a 30 miler. I added six scoops (100 calories each scoop) to my 2-liter UltrAspire pack and just made sure I kept drinking. I liked having a more consistent stream of calories and my stomach never got queasy or sick of the flavor. I never lacked energy to get in a few trail jumps. I was so impressed with this product that I bought more from their website and will definitely be using it in my training and upcoming races. I see myself using this as my primary fuel source for ultras and then supplement it with food if I feel hungry at aid stations. In addition to a great product, I was also very impressed with Tailwind's customer service. Email responses were quick, they added some little notes with each package, and they personalize each bag they sell. Very cool. I bought the Tailwind Challenge - four bags with 50 servings (100 calories) each. This costs $125 which seems like a lot.....until you realize that a 100 calorie Gu packet costs $1.25 each. I did the math and Tailwind costs HALF the price. Sold. I want to emphasize - Tailwind is not giving me anything for this endorsement. I'm telling you, it's a great product. Aside from trying their samples, I bought these bags myself. 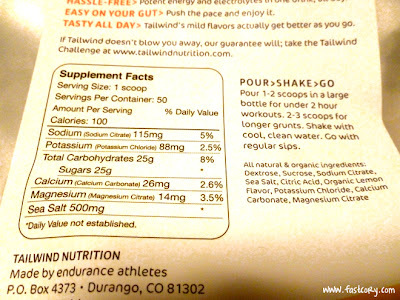 If you have any stomach issues or hate the thought of eating a gel every half hour during training or racing, I’d definitely suggest trying Tailwind. CLICK HERE to visit their website. After you try their stuff, you'll be glad you did. Great write-up. I've wanted to try this stuff since listening to that podcast too. You may have tipped me over the edge here. Do you have any troubles cleaning out your hydration bladder after using it? I've had some issues with other products. And don't they have a guarantee with their challenge that if you DNF your next race while using Tailwind you get your money back? That's a sweet deal. I think I'll give this stuff a shot at Zion. They should hook you up with more samples. Great question about the cleaning. Tailwind is the only thing I have ever dared put in my hydration pack besides water. The power is very water-soluble so it's easy to clean and doesn't leave a residual taste. Their guarantee is that if you train and race with it and you're not satisfied, they'll refund your race registration fee. Just goes to show how confident they are in the product. Awesome! I want to try it because one of the problems I've had in marathons is that I get so sick of the taste of sweet stuff I can't down anything more or I'd vomit (totally happened more than once). So I love the idea of something more "savory". I'd say it's definitely worth a try. It doesn't have that sticky sweet taste like Gatorade or Gu.....thank goodness. Admittedly, when I read tailwind I thought of something else but I have the mind of a six year old. The idea of using something that doesn't leave a nasty taste of sweet in the mouth is very appealing. Very cool! I'm trying to figure out my nutrition for Ironman Louisville. I may have to give Tailwind a shot! I think this would work great for a marathon with a hand held bottle. The berry flavor.....wow. I got some of the berry flavor after seeing this and tried it for the first time today. I liked it! It was only 12 miles this morning so we'll see how it holds up at mile 80!! Cory - You have no idea who I am but I was led to your page by your awesome mother!! I work with her and too am a runner. Anyways, great blog! Love the review, I think a lot of runners are getting burned out on the Gu type stuff, so I for one look forward to trying the sample pack! Would this alleviate the need to take salt tabs? I used to take a salt tab every hour. During the last two 100 milers with Tailwind I took a total of three salt tabs. So I pack a few just in case but I rarely need one. CBD cream If you are sick or have certain body conditions that are creating pain, then consider learning enough nutrition information that will help you eliminate that sickness or pain.